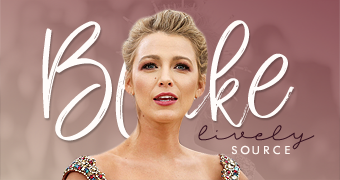 Welcome to Blake Lively Source, your #1 fansite and guide about the actress Blake Lively. We work to provide you with the latest news, photos, videos and more! We hope you will enjoy our site and we encourage you to visit us again to get the latest updates on Blake. Careful, Ryan Reynolds! 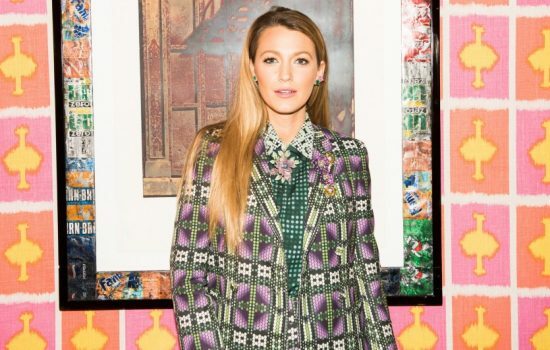 Blake Lively has a new man in her life. 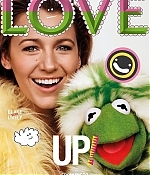 The 30-year-old actress posed with Kermit the frog on the new cover of Love magazine. “The lovers, the dreamers and me,” Lively captioned the cover on Instagram. Blake Ellender Lively (née Brown; August 25, 1987) is an American actress. Lively is known for starring as Serena van der Woodsen in the CW drama television series Gossip Girl (2007–2012). She also starred in the films The Sisterhood of the Traveling Pants (2005), Accepted (2006), The Private Lives of Pippa Lee (2009), The Town (2010), Green Lantern (2011), Savages (2012), The Age of Adaline (2015), The Shallows (2016), Café Society (2016), and All I See Is You (2017), and A Simple Favor (2018). She has been married to actor Ryan Reynolds since 2012, with whom she has two children. A Simple Favor, centers around Stephanie, a mommy blogger who seeks to uncover the truth behind her best friend Emily's sudden disappearance from their small town. A woman seeks revenge against those who orchestrated a plane crash that killed her family. The lives of three women all come crumbling down after one of the women discovers a secret letter written by her husband. Child Rescue Coalition is a partnership of child exploitation investigators, police officers, digital forensic experts, prosecutors, child welfare agencies, and corporate and private philanthropy. We work together to apprehend and convict abusers of children, rescue those in harm’s way, and importantly, seek to prevent abuse from happening in the first place. At its core is leading-edge technology that identifies, monitors, and ranks the online criminal behavior of child predators on peer-to-peer file-sharing and chat networks. Blake Lively Source is an unofficial fansite. 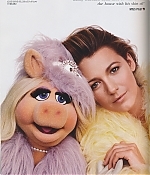 We are in no way affiliated with Blake Lively, her family, her friends, her agency or management. If there is any content appearing on this website that belongs to you and do not wish for it appear on this site, please contact us as soon as possible with a link to say which post and it will be promptly removed. 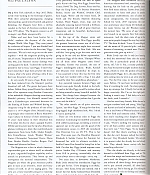 All copyrighted materials posted on this blog documenting and illustrating our interests. All images in the gallery belong to their respectful owners and no copyright infringement is intended. If there is anything on this site that belongs to you, please contact us and we will cooperate without question to remove the problem from this site.